The Premier Valencia kitchen door and drawer front design is a favourite for those seeking to update and modernise their existing kitchen. This design has 25mm bevelled edges and twin vertical lines on left and right. 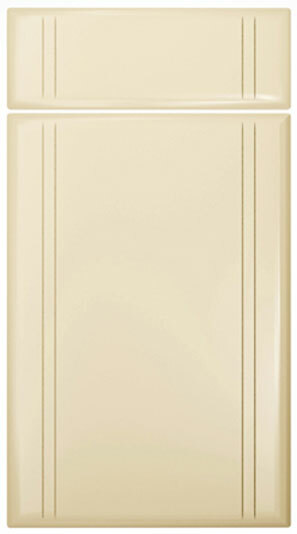 Premier Valencia drawer fronts start from £2.10. Click the button to purchase a Sample Premier Valencia design kitchen door. The Premier Valencia design is available in ALL non-gloss finishes. The Premier Valencia design is available in ALL high gloss finishes. Please Note: The Premier Valencia design is NOT available in any high gloss finishes.